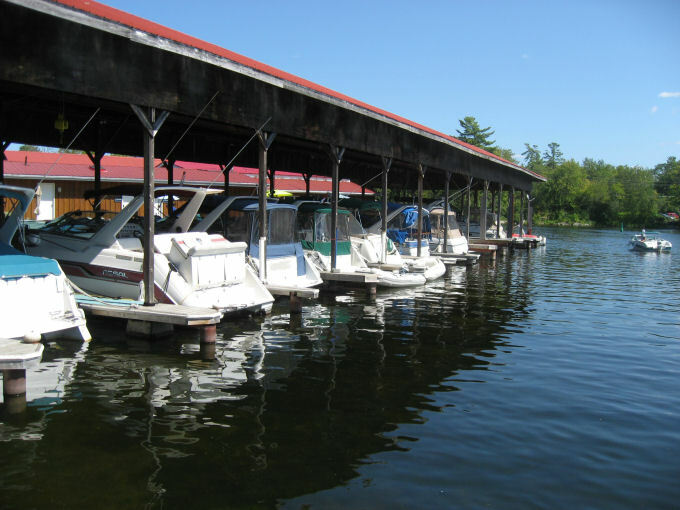 For over 100 years Gordon Yacht Harbour Marina has been located in the heart of the Village of Bobcaygeon, below Lock 32 on Pigeon Lake on the Trent-SevernWaterway. Approximately a two hour drive north-east from Toronto, Ontario,Canada. 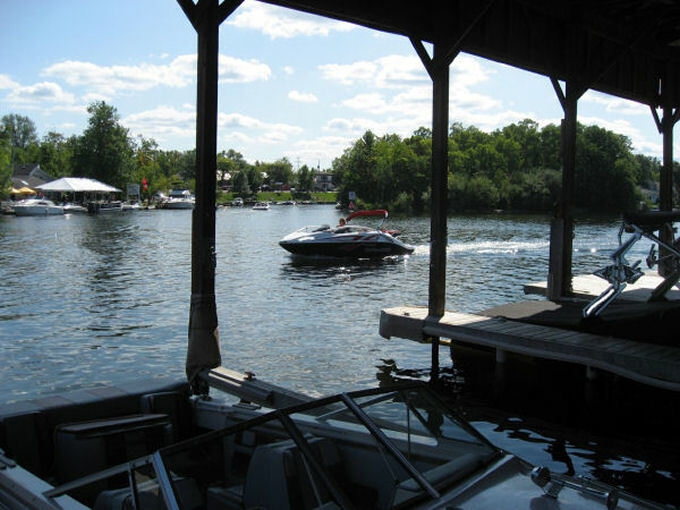 With over 200 square miles of controlled water levels between the locks at Bobcaygeon and Buckhorn the marina claims to have the longest and best boating season available in the Kawarthas and Trent System. A warm and hospitable welcome is assured to our transient boaters from our staff and permanent residents. You are welcome to share the following amenities in our marina. Mechanical electrical boat repairs, Marine supplies & Charts, Boat Launching Ramp, Power – 15 & 30 Amp, Satellite TV at Slips and Fuel/Oils and Pump-out. Snacks, Dry Goods, Ice Cream, Town water & Services. 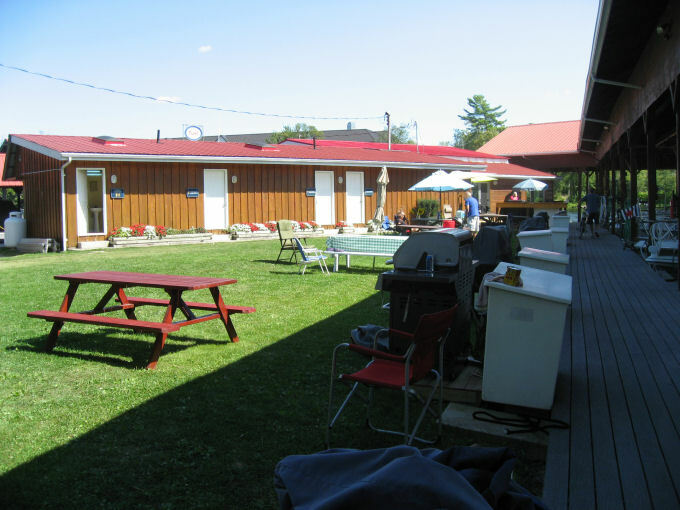 Restrooms & Showers, Quiet Family settings, Laundromat, Swimming & Fishing, Grocery Delivery, Picnic area & Bar-B-Que. We even have a Residents Lounge with satellite TV. Pets Welcome, Children’s Games room and more! Dr. Stephen Thorne who began his medical practice in Bobcaygeon in 1888 first established the yacht harbour. As canoes were in great demand, he hired a man to build them in 1894, turning his boathouse into a workshop, which was located directly in front of his house on Front Street. Gilbert Gordon, from Lakefield, took over in 1909 and built canoes in the boathouse, then known as the boat livery. In 1926, Gilbert’s brother Charles took over the lease and operated the business as Gordon Boat Works. Gordon Boat Works was eventually sold to Earl Gordon then passed to Bill Gordon who, with his wife Mary Jane, ran a thriving business known as Gordon Yacht Harbour. Colin Fernall took over the operation in 1975 and started a major renovation in 1990. The current owner, Charles Pitcher, completed these in 1999 and continues almost a century of boating services for the 50 resident boaters and over 1000 transient boaters every summer. There’s as warm a welcome for boaters stopping by as they travel the Waterway, as there is for residents staying the season. 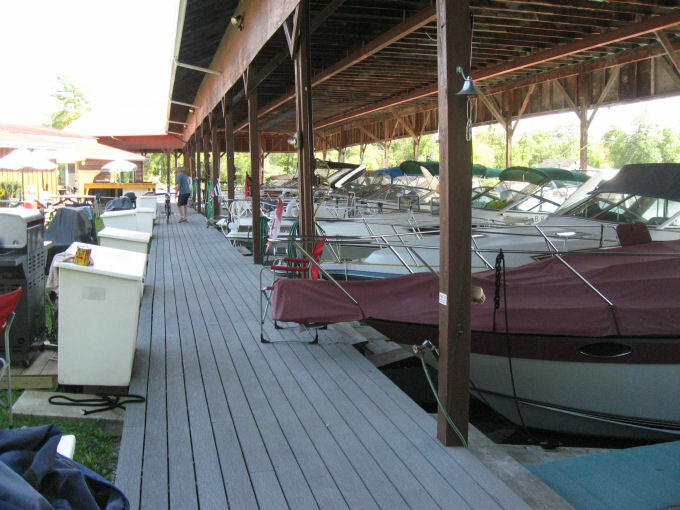 Facilities include covered slips, a picnic area, a laundromat, showers and marine supplies on site. A few minutes walk over the bridge is beautiful downtown Bobcaygeon with shops, restaurants, banking and groceries. Stay a night and you just might be charmed into staying longer to enjoy, golf, swimming, fishing or exploring our neighbourhood.